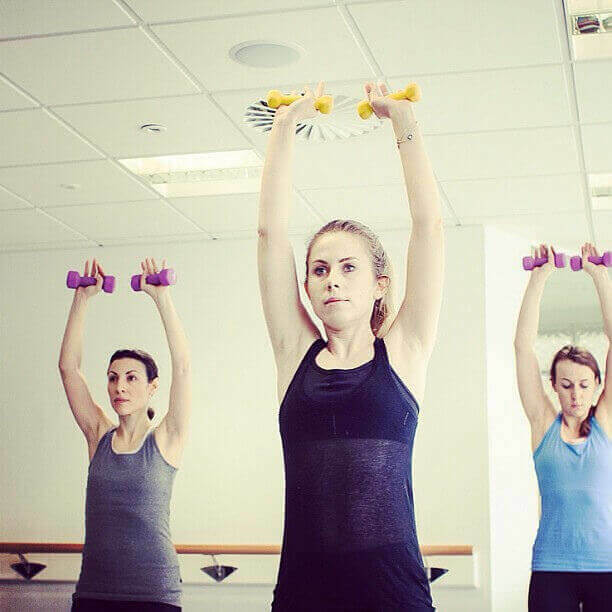 We try…Barrecore – is barre fitness all that it’s made out to be? I took a few ballet classes as a child. I remember being told to delicately – and I quote – ‘pick a star from the sky and place it in your lap’. For a tall, awkward and very clumsy child, you can imagine how graceful this looked. Not very. I quickly realized ballet was not for me, at least not in the sense that I would one day find myself lighting up the stage at the Royal Opera House. Yet, I always maintained a slight obsession with the discipline. Maybe it was the beauty and strength of the dancers. Or maybe as I got older it was the allure of long, lean muscles. Whatever it was, you can imagine my excitement when ballet-inspired fitness classes made their way from LA and landed in London a few years ago. After barre fitness popularity exploded in 2015, and I made the move to London after three years of student life in Cardiff, now seemed like the perfect time to get my Natalie Portman on at Barrecore Kensington. There are a number of bold claims made on the Barrecore website – the class will reshape your body, firm and elongate muscles and reduce body fat. The website also informs barre wannabes that a single class will burn on average 500 calories. To me, 500 calories for an hour’s work does not seem like a lot so it was safe to say I was both sceptical and curious to find out if Barrecore could deliver. You do not need to be Natalia Osipova to take part… phewww! Regardless of the reviews, I had read online, there was a part of me that thought surely the presence of the word ‘ballet’ implies some form of flexibility is required? Let me be quite clear here, I am not flexible. Nor do I have any reliable form of dance background to help me through. Unless you count letting my inner Beyoncé shamelessly rock out in ‘da club’ as reliable? Luckily for me, although Barrecore involves the principles of ballet strength, these principles are incorporated into a workout for people at all levels of fitness and capabilities. The class caters to the masses with instructors that are both very well trained and encouraging. I felt comfortable and relaxed almost as soon as I entered the studio but be warned, this is where the comfort ends. Whether you are lying in plank or using the ballet barre, this class has you using your own body weight as resistance which ultimately makes you feel as though your muscles are frying. Your core and bum are targeted with very small movements that work deep within the muscles, which our instructor reminds us, ‘will have us burning calories for up to 36 hours after the class’. Hurrah! Each new sequence has my muscles screaming in pain. One antidote for the sickening burn is that you can take solace in the fact that the muscles targeted are those we often find hard to tone, where stubborn pockets of fat seem to gather – the inner thighs, lower back and triceps. One of the reasons I am drawn to exercises like yoga, Pilates and Barrecore is to counteract my bad posture, only made worse by sitting at a computer for a large portion of the day. I am not alone in this. Almost everybody will have bad posture and I believe it is important to tend to this early on so that we don’t end up achy and stiff, groaning every time we haul ourselves out of a chair to make a cup of tea. The class begins with a 10-minute ‘warm-up’, followed by a combination of exercise sequences using the barre, targeting the legs, hips and core. Who knew 1kg dumbbells could hurt so much? You will also spend a significant amount of time on your mat, completing numerous variations of push-ups, squats with a resistance band and even more abs. Barrecore draws your attention to muscles you’ve neglected somewhere along the line. You can actually feel your muscles being pulled into shape and toned, which in turn, I am told, improves body alignment and posture. If you have a dislike of endurance-based cardio then Barrecore is the class for you. Don’t let this lull you into a false sense of security because what the class lacks in endurance sweats, it more than makes up for in ‘my muscles are on fire and there is no relief around the corner’ sweats. At one point I found myself leaning on the ballet barre in a press up position, raising one leg behind me, toes pointed and trying to ‘poke’ an imaginary person behind me. Our instructor explained this movement specifically targeted the backs of the thighs, helping to raise the glutes. Yes, on paper this may sound easy, but two days later I was still unable to stand or sit without wincing in pain. One class later and I believe this is true. You will stretch, point, flex, push, hold and pulse your way through the class and I firmly believe, with time and dedication, this could dramatically change the shape of your body. Throughout the class, your body is faced with an onslaught of muscle toning, body strengthening and fat-burning exercises resulting in soreness in muscles you never knew you had. My muscles were quite visibly shaking as a result of the tiny concentrated isometric movements, designed to target specific hard to tone places. A sequence of muscle training is followed by a short period of stretching, ensuring muscles become long and lean. My first Barrecore class was both demanding and rewarding. Whilst you endure muscle pain like never before, Barrecore also leaves you feeling much the same as you would have finished a great yoga class; like you are making fundamental changes to your body that have a positive effect on the mind as well as the physique. After your first class, you can expect to receive a congratulatory email – well done me – which goes on to explain that after 4-5 classes you will start to see tangible results: ‘toned legs, narrower hips and a lifted seat’. For those who can afford £28 per session, go for it! With time and dedication, Barrecore will give you the body you always wanted and I have become completely obsessed. However, as I am a young professional living in London, and my ‘get obscenely rich’ plan still needs some work, it’s going to be a little while longer before I am attending barre five times a week. Sigh.